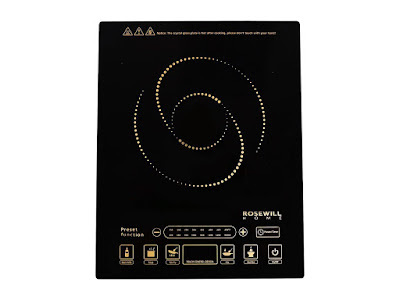 The world is buzzing about the magic and efficiency of induction cooking now and as a long-time promoter of the technology, I'm thrilled to see it catch on with the speed it has. My first exposure to induction cooking was at a cooking class sponsored by Wolf nearly ten years ago and I fell in love immediately. The more I learned about it the more convinced I became that induction was the direction that everything would be headed eventually. Despite the glory and wonder of induction cooking, adopting it can still carry a pretty steep price tag. At the same time, like all new home technology, there's a learning curve associated with it. I've long promoted the idea of easing into induction by using a counter top, single induction burner. That way you can experiment with it without having to spend the thousands of dollars a new, full-size appliance will cost. Rosewill just made that process a whole lot easier with the addition of the RHAI-16002 to their product offerings. 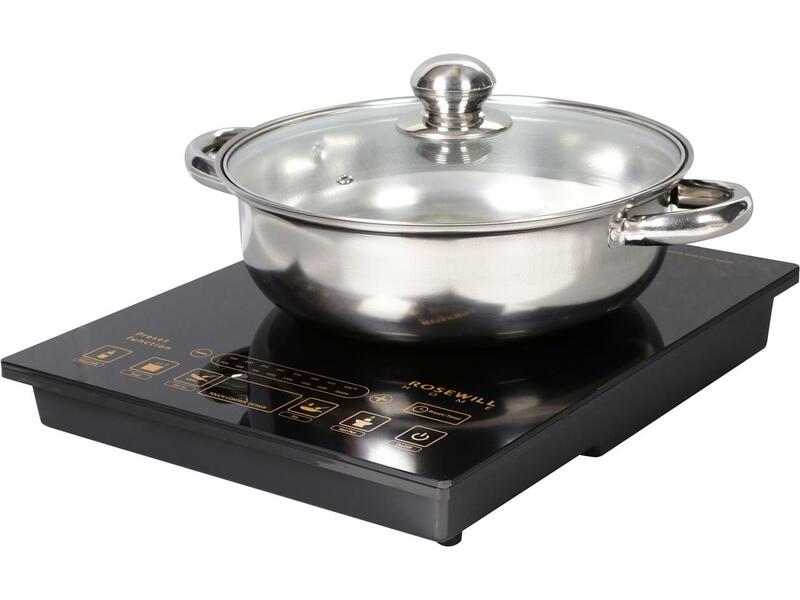 For significantly less than $100 you can get a fully programmable and portable induction burner. You can use it in your kitchen as a "fifth burner" for your existing cook top and with the holidays upon us, these portable induction units are perfect to keep food warm when you set out a holiday buffet. Ironically, I first learned about induction from a cooking class and now I teach classes of my own. A couple of weeks ago I introduced a room full of novice home chefs to induction through the Rosewill RHAI-16002 and it performed perfectly. This thing is great and they're easy to find. 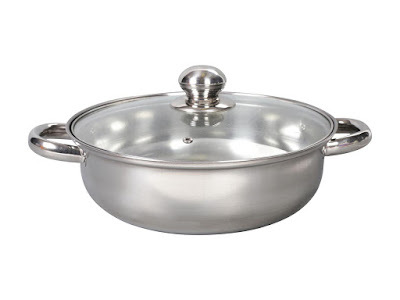 So as you shop for the cook in your life this Christmas, keep this cooking appliance in mind. This one even comes with a pot! Are you ready for a free-standing bathtub? The bath design world is currently in the thrall of the free standing bathtub and for very good reason. Nothing sets a new bath design apart quite like one. They're the rare centerpiece of a bath that's also a fully-functional, not to mention thoughtful, addition that people will use as much as they love to look at it. Free-standing tubs take a mundane necessity and turn it into something attention grabbing and they make an impression like few elements can. 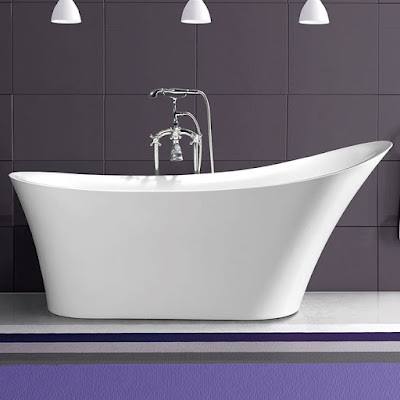 What is a free-standing tub? 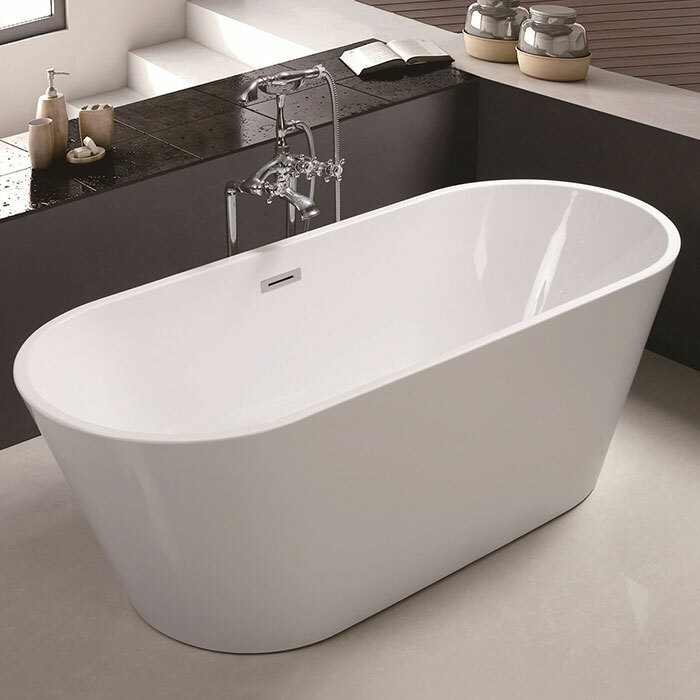 Free-standing tubs are exactly what they sound like - bathtubs that stand alone. They're finished on all sides and are intended to be set away from the wall. They read as much as a piece of furniture as they do a plumbing fixture. They come in a wide variety of shapes, sizes and materials, and allow for an opportunity to express more creativity in a bath's design. Do free-standing tubs cost more? No, they don't always but they can. 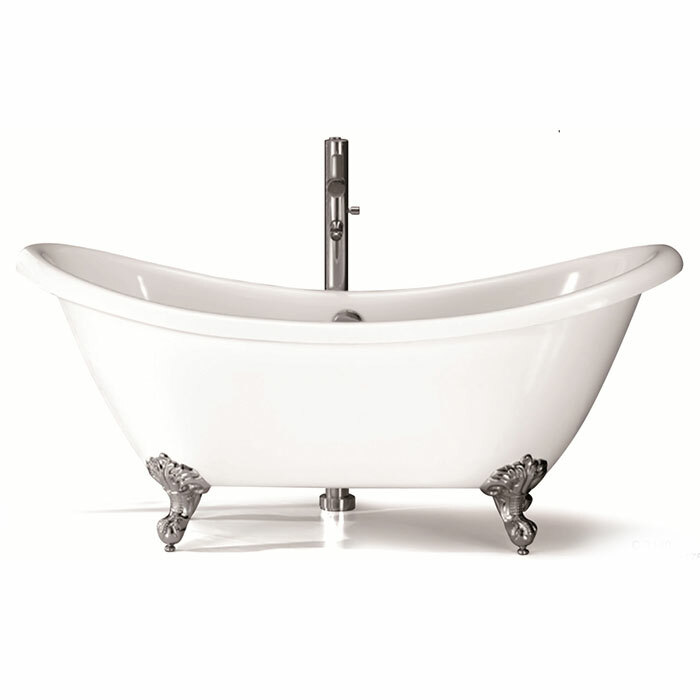 It's important to shop and look for free-standing bathtubs from a wide variety of sources. 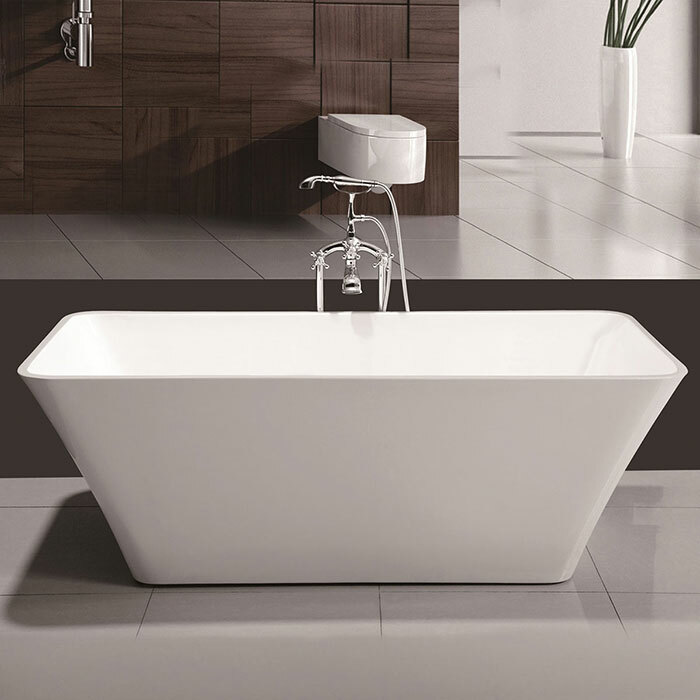 Free-standing tubs scream luxury product and when they first started their comeback they were certainly priced accordingly. Now that they've become more popular, their prices have begun to fall. It's also important to remember that aside from the cost of the tub itself, the fees to the plumber to install it will also increase so bear that addition expense in mind when you're planning your bath renovation. Just remember to tell all of the tradespeople you're working with that your new bath plan includes a free-standing tub so they can provide you with guidance and honest prices ahead of time. Can free-standing tubs be combined with showers? Generally no but you can try. However, it'll be difficult to get a shower in there without ruining the effect you're trying to achieve. It's a much better idea to plan for a separate shower from the start if you're going to use a free-standing tub. Can free-standing tubs be accessible to people with disabilities or mobility issues? Yes, free-standing tubs can be made to be more accessible, but it's less than ideal. The keys to bathtub accessibility are rails (which help you to lift yourself in and out of the tub) and transfer benches (which allow you to easily move from a wheelchair to the tub). Using these tools with a free-standing tub can be a challenge. If your tub is placed too far from the wall (which is often the case), you won't be able to install rails on the wall and will instead have to install them on or near the tub. On top of that, if you have mobility issues it can be very difficult to get into a free-standing tub (or any tub, for that matter). And it's even harder to get out, since you have to raise yourself even higher while you're soaking wet. While it's possible to make a free-standing tub accessible, it's not easy and it might lessen the visual effect. You'll probably be better off with a doorless, curbless shower. So if you're in the process of thinking about a new bath, keep free-standing tubs in mind. They're a wonderful addition to any home. A redundant task is any that replicates activity already taking place. For example, having someone sweep the same spot on the same floor twice, just because they don't seem to have anything better to do with themselves, is an exercise in redundancy. You're wasting personnel and resources on a task that's already been done, and doesn't need repeated. The only way to really justify such redundancy is as a form of discipline or punishment vis-a-vis the military; but even there, wasting money on such efforts doesn't make sense. Consolidating resources is a better option, and so often as a means of punishment, military personnel have trainees do work that actually benefits a given base of operations—like cleaning toilets, or something of that ilk. Eliminating redundancy in your operation can save time, money, resources, and your reputation. Following are several ways you can cut costs without diminishing value and without relying on managers who are using the latest brain enhancers. A solar panel system increases property value and decreases reliance on the grid simultaneously. Additionally, solar energy costs nothing but the expenses involved in purchase and installation. Power is essentially free for ten years under warranty. That means no power outages for a decade, if you install the panels right. In the Netherlands, they've created a building that runs entirely off solar energy and manages to curtail water costs through the collection of rain. Think about the savings here. If that building spent $3,000 a month on water and energy, they just cut $36,000 from their yearly operational budget. Many departments today seem useful, but that is only because managers above them aren't cognizant of recent technological developments. The internet has expanded beyond computers into smartphones and even things like your thermostat and garage door opener, as well as your lightbulbs—if you've decided to pursue the Internet of Things (IoT). As a result of this expansion, it's now possible to use a program as a means of eliminating the primacy of the payroll department. Basically, the software used clocks employees in or out based on the proximity of their smartphone. They can also clock in or out remotely, curtailing losses from weather days where workers can't make it into the office. This has the additional advantage of more directly identifying time worked as well, and shaving unnecessary seconds from monthly budgets. A person can be clocked in—should they be on the premises—the second their shift begins. Likewise, they can be automatically clock out when it's over. No more clock milking. Clockspot points out that “online time clocks make time-sheets and payroll painless.” It's very true, and in modernity, both are kind of redundant. How much do you pay a single employee in your payroll department? $35k a year? Not unless you're really lucky. It's probably closer to $50k/year, when you iron out all the benefits. If you've got ten employees in payroll at $50k/year, that's $500k you're just flushing down the toilet on an annual basis. If, additionally, your employees (of which there are 1,000) milk the clock for an average of two minutes a day per employee, that's 2,000 minutes you lose on a daily basis. Over the course of a month, that boils down to 40,000 minutes lost. If your employees are getting paid $15 an hour (including benefits), that means you lose $10,000 a month, or $120,000 a year, through sloppy timekeeping. From solar energy to payroll clocks that are automated over the web, there are plenty of costly activities that regularly permeate an office. Cutting them saves time and money, and allows for more profitable expansion. Kevin is an SEO marketeer with OutreachMama and Youth Noise who designs value-rich content aimed at increasing clientele for expanding businesses. Networking, building partnerships, and providing quality products with shareable value make this possible. He's an author (Amphibian and The Thief and the Sacrifice to his credit) whose professional writing follows business trends in technology, marketing, SEO application, and much more. Any property can be expanded from virtually nothing to a centerpiece of the community through well-done remodeling. And any property can degrade into a ruinous heap through neglect. If you want your property to maintain its peak value, and even increase on that value, you should consider remodeling your property routine maintenance. You're going to need it eventually. It doesn't matter how well the carpet was made initially, if it's in a room where there's a lot of foot traffic, it will become saturated with dirt particles and fragmented dust from the air. It will become heavier, and it will need replacing. Sure, you can shampoo it every couple months or years, but this is only prolonging the inevitable. A flooring option that has a lot more versatility and a certain class about it is wood. Switching a carpet to wood can increase property value if done correctly, and that increase could end up ultimately recouping your investment over time. Beyond wood there is tile, and even stone—though these options can be cold to the feet, so plan accordingly. Following are several other ideas you can play with as you consider what may be the best portion of your property to begin remodeling. 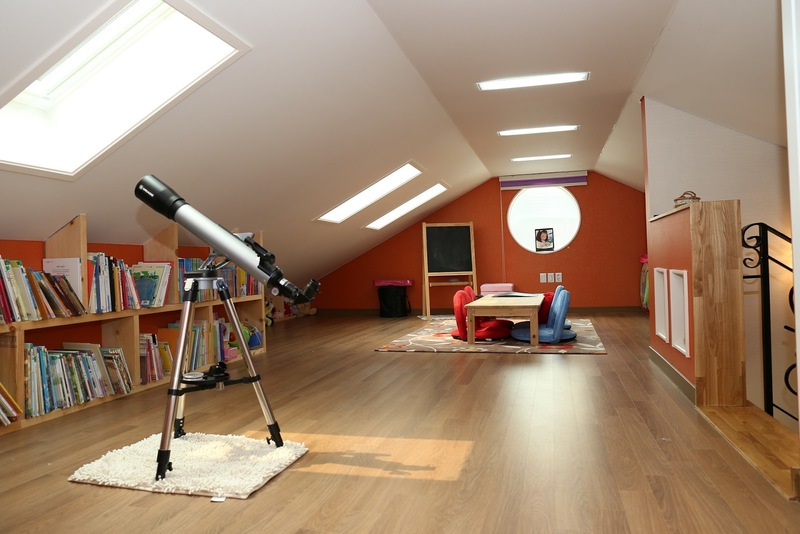 The attic remodel is often a great way to save money and make it at the same time. Unless you've got some valuable treasure in your attic, there's probably just a conglomeration of old junk that would do better being sold at a garage sale than it does cluttering up the top portions of your property. So have that garage sale, throw away what can't be sold, and if there are valuable components, put them somewhere else in the house. Then sweep the attic, put in some throw rugs, get some wallpapering, and add some furniture. Viola, you've got either an additional bedroom or study, whichever your real estate agent says will bring your property greater value in your particular market. Now, you've got to be careful; some attics may have structural instability, and could be a hazard. If your property doesn't already have reinforced flooring in the attic, that may be a necessary expenditure of remodel. The cost of this can get high, so be sure to know your attic before you start such a project. A deck is like an outdoor room of the house, and adds an exceptional amount of utility. Whether you go the patio route, or attach a full on deck to your property that extends from a second or third floor, you're going to want to utilize decking contractors who understand the process backwards and forwards, and are willing to be completely transparent with you. Each deck will have different idiosyncrasies which will make it more or less expensive than another. What kind of property you have, how big you'd like the deck to be, which floor it will be coming from—these things can change the price substantially, and you'll want a decking agency that is willing to give you the good news and the bad news without downplaying it or over-emphasizing it. Or, you could just build it yourself; though if you don't have architectural acumen, that could be a very bad idea. This one can really be a mixed bag because depending on what you want, costs very easily multiply on themselves. The key here is upgrading utility and functionality. If you get too stylistic with it, prepare to spend more money. That said, you will very likely bring your property value in the process; but the value brought may not be equal to the costs involved in attaining it.